Somos+, 26 November 2016 — Consistent with its tradition of objectivity and respect, the political movement Somos+ acknowledges the death of former president Fidel Castro as an historical event of great significance. We understand that his followers will pay him the tribute they deem appropriate. We hope, however, that this event will be the beginning of a new stage in the life of the Cuban people. For although in his almost 50 years of governance he did some praiseworthy things, his decisions were marked by pride, authoritarianism, overconfidence, intolerance and a cult of personality. 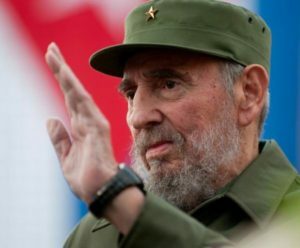 Every branch of Cuban economics, society and politics were formed in his image and likeness, assuming each of these traits and leading over the years to the terrible structural, spiritual and moral crisis that we are experiencing today. This has been further compounded by emigration and a lack of respect for fundamental human rights. We hope that his passing will encourage a greater and essential exercise in reflection and responsibility for our people and will be the starting point for all of us as Cubans to once again seek to be, as was Jose Marti’s dream, a single country that affords the peace and harmony that we need. Fidel’s death marks the death of an era and with it a great opportunity to rebuild our nation.